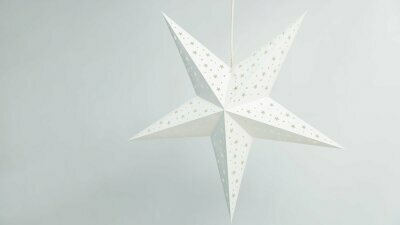 Our 'Starry' light shade is a 5 pointed star design with 160 star shapes carefully cut into each lantern to let out the light. 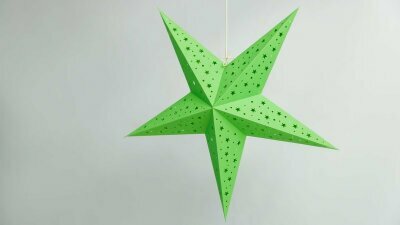 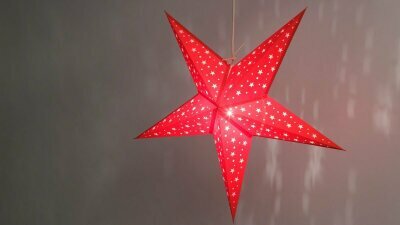 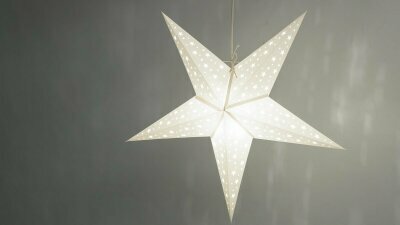 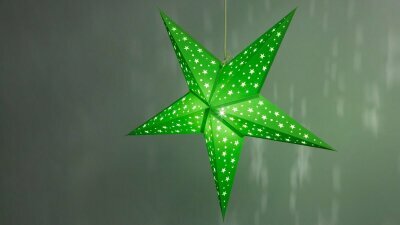 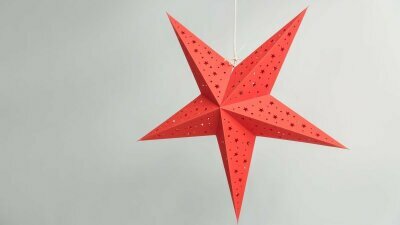 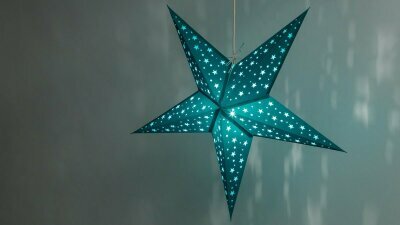 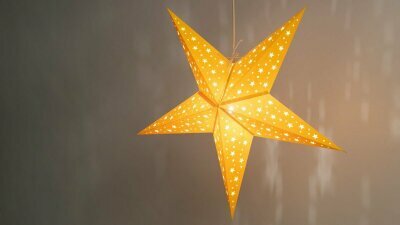 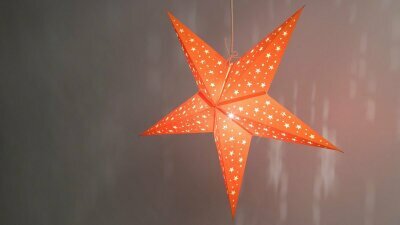 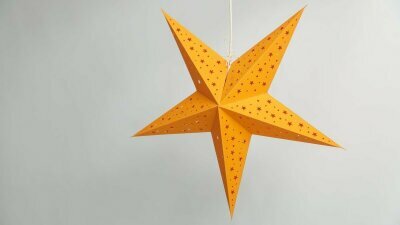 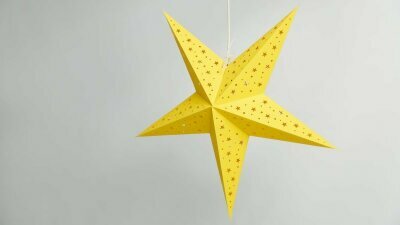 When illuminated, this paper star lantern casts a fantastic starry pattern of star light onto ceilings and walls, instantly changing the atmosphere in any room. 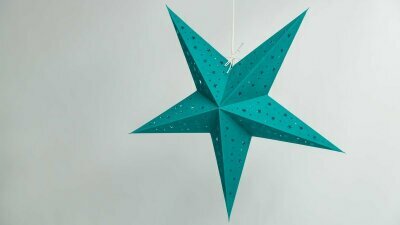 The 'Starry' lampshade is available in 6 bold colours: White, Red, Teal, Violet, Yellow and Green. 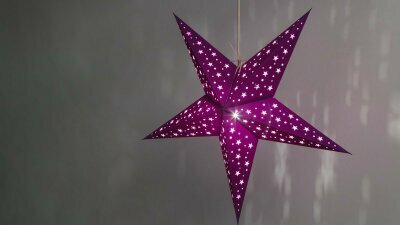 Choose White for maximum brightness and Violet for a deep ambient glow. 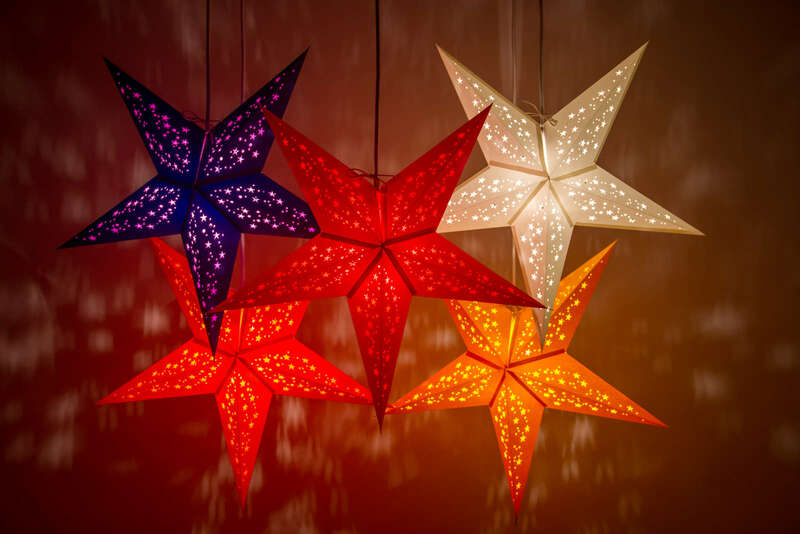 7 Different Colours To Choose From!